Search engine optimization is the heart of online business. However, when you truly set out to carry seo, there are various tools which you must use. Here are some of the tools which you should check out for the sake of extracting the most out of seo. We have a lot of advanced and paid tools but absolutely nothing matches the kind of help which you can get from the use of this tool. With Google webmaster tools, there are too many parameters which you can check. It is ideal for checking the age index status of your website and even the health of your site. Ideally, this tool serves the perfect use for those who want to analyze if their seo activities are churning the right results. This is one seo tool which is absolutely mandatory. There is no seo without the right kind of keyword targeting. One of the core seo activities revolves around finding the right keyword which offers high traffic and low competition. The keyword planner tool offered by Google has undergone a complete makeover and you can control too many points. You can spot regional or even global keywords and along with it enter the cost of your keyword campaign as well. When you are looking to get the most out of free seo tools, you cannot afford to miss out on Moz. Moz is one of the top rated sites which has some remarkable online tools. Moz cast, open site explorer and moz local are some of the top tools which you can access for free. Those who are looking to target the local market with seo can benefit the most out of moz local. Moz cast on the other hand helps you track the changes that occur because of the different strategies which you are using. This is a free website analyzer that will help you compare how you are performing in comparison with your competitors. This site comes with an extremely intuitive interface and it allows you to compare various parameters. Those who work in the niche where the competition is extremely intense should make it a point to use this tool to the fullest. One can find parameters like social share score, seo score and traffic score and more. Every single point is helpful in assessing how far you have come in implementation of seo. Both white hat and black hat seo strategies are useful for improvement of business results. It is this seo tool that will offer you an insight into how effective you have been so far. While this tool is not available for free, it will still give you a clear insight regarding the number of clicks that brought people to your website, the rate of conversion and more. These facts are important because there is a lot of latent traffic. To improve business, your rate of conversion has to be high. You can extract meaningful data from this tool. 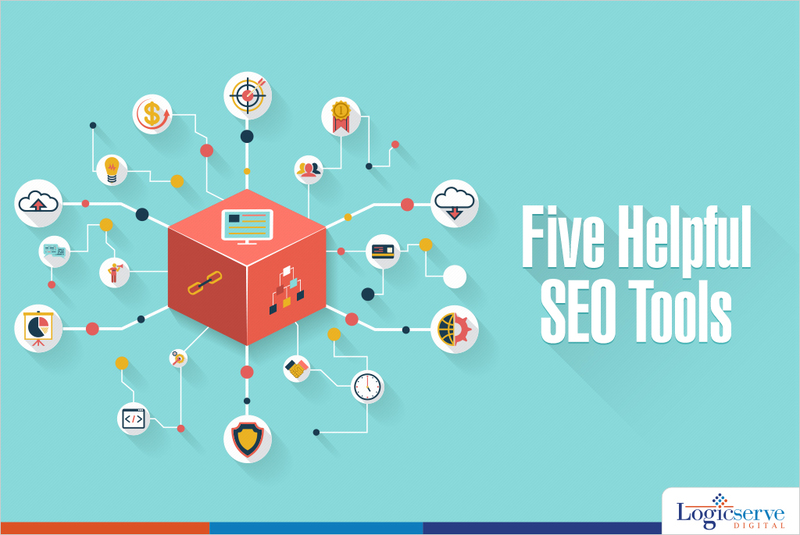 All these five tools can significantly contribute for better and improved seo. You will need tools to optimize a website whether you are working for your own website or for a client’s website. There are some free SEO favourite tools that you can use as much as you want and if you have the budget then you can pay for other good paid SEO tools like the ‘Crazy Egg’. Jay Maurya is a tech freak armed with information about latest gizmos, utility loaded apps and futuristic technology. An avid tech blogger he enjoys writing about what you should not miss. His affinity to the ever evolving web world brews your grey cells for the better.